At the time, some people said the question mark over our old drummer's face was a bit harsh. What do you think? 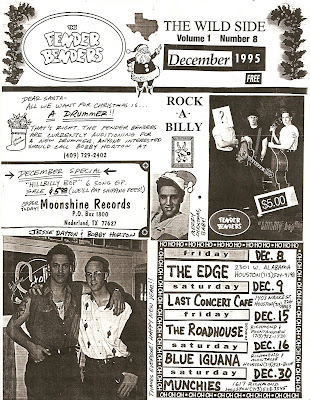 Also, I remember that gig at the Roadhouse sucked! They kept telling us to turn down, turn down. We were so quiet by the end that it was ridiculous. Maybe if Patrick Swayze had been working that night he could've straightened things out.